Best Overall: "Chinese Dim Sum"
For the cook who has mastered the basics of dim sum and wants to go to the next stage, this book from Taiwan’s Wei-Chuan school is a good choice. Just be prepared to do a bit of conversion work with the recipes. Paperback. Best Introductory: "Dim Sum: The Art of Chinese Tea Lunch"
Ethel Blonder wrote this book for newcomers to dim sum, in this book the co-author of "Every Grain of Rice" provide easy to make recipes for all the dim sum classics, from Potstickers to Shu Mai. As with her previous book, charming watercolours are scattered throughout. 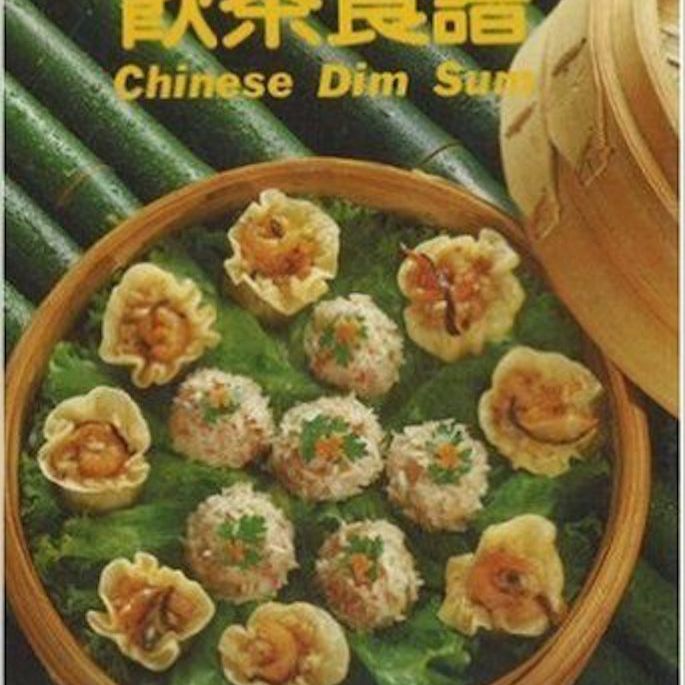 I'm cheating a bit ​here, since this isn't actually a cookbook, but I just had to include Kit Shan Li's excellent guide for the novice or inexperienced dim sum diner. The book includes western and Cantonese names, photographs, and descriptions of nearly fifty items commmonly served at a dim sum brunch. An added plus is the book's compact size - perfect to take with you to the dim sum restaurant. Best Variety: "Dim Sum: Delicious Asian Finger Food"
Food stylist Fiona Smith provides innovative twists on traditional dim sum dishes. My personal favorite is Bok Choy Rolls with Spicy Chicken – an interesting variation on Lettuce Wraps. Also not to be missed are the Pearl Balls made with black and white glutinous rice. Hardcover. Best Quick: "Asian Wraps: Deliciously Easy Hand-held Bundles"
Nina Simond's quick and easy recipes that make use of a wide variety of wrappers, from nori (seaweed) to spring roll wrappers, lettuce and pita bread. Includes lots of traditional Chinese dishes, such as Szechuan won tons and steamed dumplings, but there are other Asian snacks as well. Hardcover. 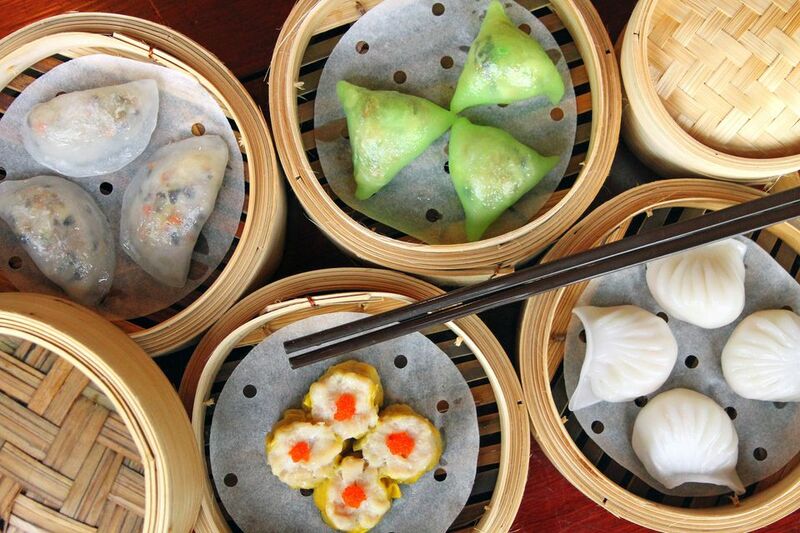 Best Restaurant Style: "Have Some Dim Sum"
Besides easy to make recipes, Evelyn Chau has included the Cantonese names for each dish, making it a useful guide when dining out at a dim sum restaurant. Paperback. Vicki Liley provides basic, easy to follow dim sum recipes, from Crisp-fried gow gee to Shrimp Balls, with lots of cooking tips and photo instructions. A good resource for the novice. Hardcover.